Our roster of STROLLING MAGICIANS includes professional magicians who perform strolling magic (sometimes referred to as "pocket magic") for adult gatherings, for children's events and for family events with mixed age groups. 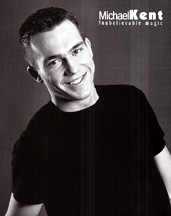 Each of our magicians has extensive professional experience performing locally and regionally. A strolling magic performances features dazzling slight-of-hand magic, with entertaining and fun interaction between the friendly magician and event guests. Strolling magic livens up all types of gatherings, including business events and company picnics, as well as private parties, cruise ships, retail events, trade shows, promotions, and much more.